I really like this cover! The sunnies are amazing! Amanda Nrgaard for ELLE Denmark July 2012. Love the leopard jacket with the denim and the brown-tortoise cat-eye shades on CBN. 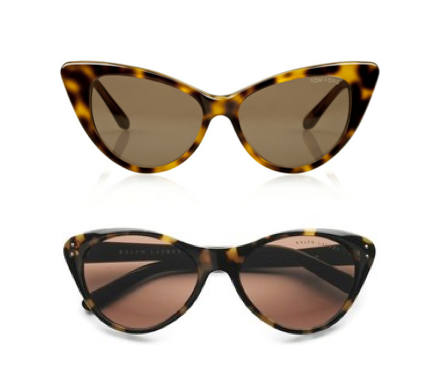 Lovely, lovely cat-eye sunglasses from the top: Tom Ford, underneath from Ralph Lauren.